A solution created by diluting aqueous arsenic trioxide until there is very little, if any, arsenic left in the solution. The symptoms that call for this homeopathic treatment for psoriasis include: patches of brownish or blackish scales and rough skin, as well as oversensitive skin, swelling, and a burning sensation with eruptions. Arsenic iodatum is a solution which is a combination of arsenic and iodine. 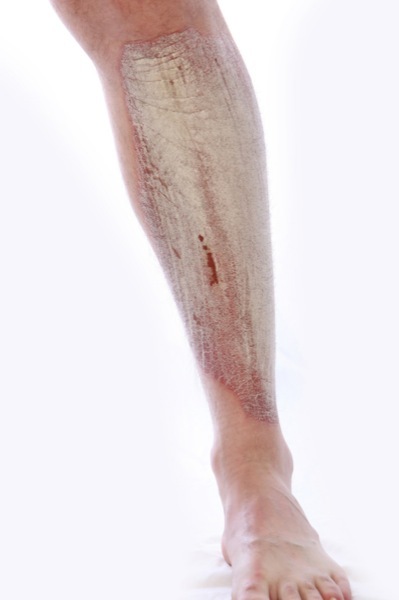 The symptoms of psoriasis which might respond to this treatment are abundant scales, which are removed with the treatment, to reveal the raw red skin underneath. Another symptom which might call for arsenic iodatum is dry skin combined with itching. Arsenic Album, Graphites Naturalis, and Sulphur. My doctor, a Homeopathy specialist, recommended these remedies to me. As the name indicates, Antimony is the primary element in Antimonium crudum a sulfide. This treatment for psoriasis is used primarily for nail psoriasis, indicated by brittle, often misshapen nails, with possible discoloration and pain under the nail. Graphites Naturalis is a mineral with traces of iron, also known as Graphites, Graphite and Plumbago. Graphites is the preferred homeopathic treatment for psoriasis of the scalp where the scalp has excessive scales. Other indications are matting of the hair, a foul odor, intense itching, and a burning sensation. Other areas affected by psoriasis that respond well to Graphites is behind the ears, the armpits, groin, and in nail psoriasis where the nail is deformed, thick, crumbled and painful. Plain ol’ petroleum jelly is used as a moisturizer, especially for the type of psoriasis that is triggered by cold weather. The skin may be rough, hard, dry and thick, with cracked and even bleeding skin. Rhus Toxicodendron is the botanical name for that five-leaved invasive plant known as poison ivy. When one’s psoriasis involves painful and highly inflamed joints, accompanied by stiffness, Rhus Tox may be the preferred treatment. The element Sulphur has proven to be quite effective as a homeopathic treatment for psoriasis where itching is present day and night, often worsening with heat. The skin is unhealthy, covered in scales, dry, and dirty in appearance. Kali arseniatum is a combination of arsenious acid, carbonate of potash, with lavender tincture and diluted with distilled water. The type of psoriasis which calls for Kali Ars is where the scaly, itching patches, located on the arms, back and elbows, scales off leaving behind red skin. AKA Kali Bromatum is Bromide of Potash, a Potash salt, which can cause a condition called Brominism. However, it is the go-to homeopathic treatment of psoriasis known as syphilitic psoriasis. This type of psoriasis is identified by cold, blue-tinged skin, which appears corrugated and spotted, with large, extremely painful pustules. Basically, this is simply desiccated thyroid gland of sheep and is primarily used in cases of psoriasis accompanied by cold hands and feet, as well as anemia. Full name is Aurum Metallicum and stands for metallic gold. This treatment is more commonly used for depression and other mental and emotional issues. However, there is some evidence that with these conditions are accompanied by psoriasis, that in addition to an improvement mentally and emotionally, symptoms of psoriasis, especially itching, have been greatly alleviated. As you can see, when it comes to finding a homeopathic treatment for psoriasis you have a number of choices. While they might not fit your idea of traditional medicine, the fact is that many people have experienced relief from their psoriasis symptoms with the use of these treatments.